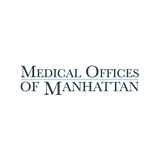 Medical Offices of Manhattan (New York) - Book Appointment Online! Primary care medical practice in Manhattan, including gastroenterology, colonoscopy, and other endoscopies. Good visit. I was seen to by the nursing staff very soon after arrival. After they had done initial checks the doc saw me shortly after. He was very good, explained things well and was attentive. The wait was about 25 minutes, but I didn’t mind considering his wonderful office staff got me a same day appointment. Dr. Yaffe was kind, courteous, very friendly yet professional. He got me the medication I needed, explaining how it would work, and what the time line for recovery looked like from my GI issue. He also gave me a plan B- to come in for an endoscopy in a weeks time if my issue does not resolve. Really wonderful to have such a great experience. Not many doctors these days balance such experienced medical practice, with fantastic bedside manner. Dr. Yaffe most certainly did! I hope I never need to go back, but if I ever do- I will Know I’m in the best hands! I'm a new patient so it took a bit longer to see the doctor because of paperwork. Doctor is great, professional, and patient.